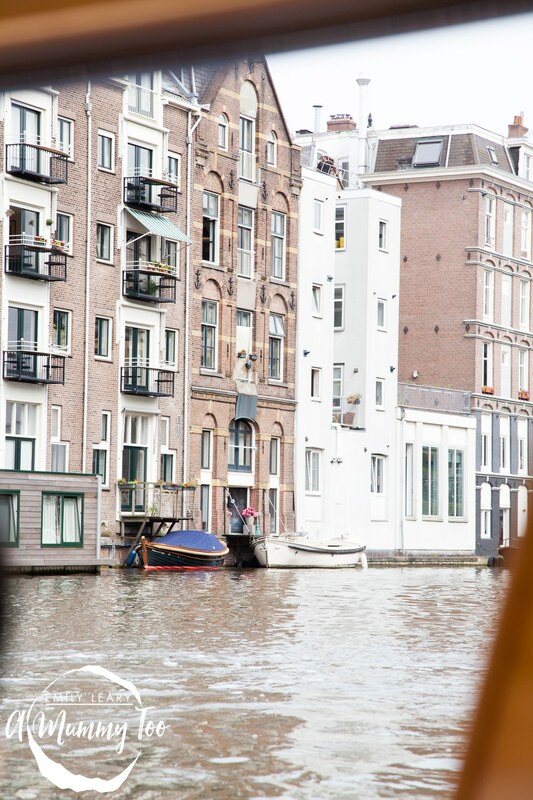 Have you ever visited Amsterdam? 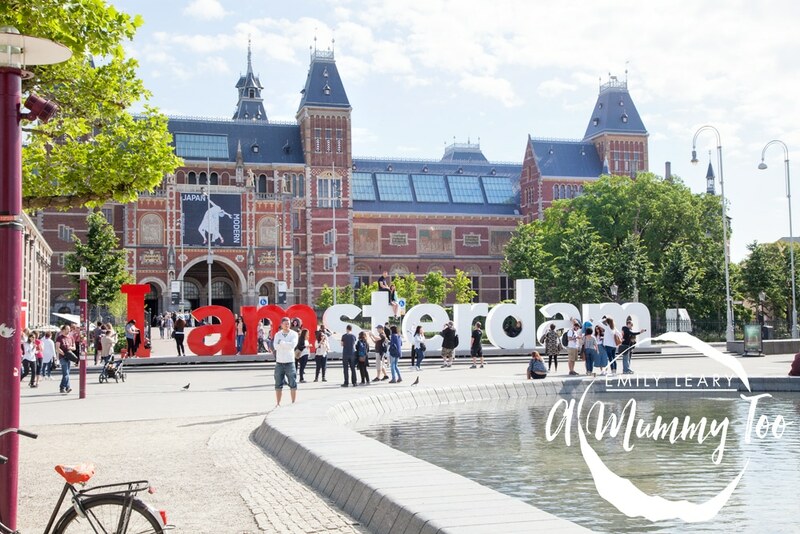 With quick flights, a wealth of attractions to visit and a vibrant culture, it’s a really popular city break destination. 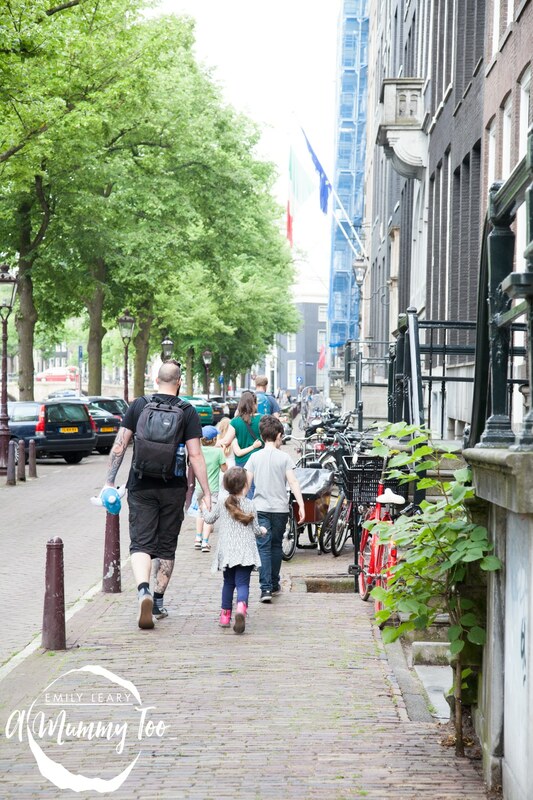 Last week, KLM sent us there on a whistle-stop mission to experience what the city has to offer visiting families. We flew from Birmingham airport, with Penny from Parentshaped and her family. 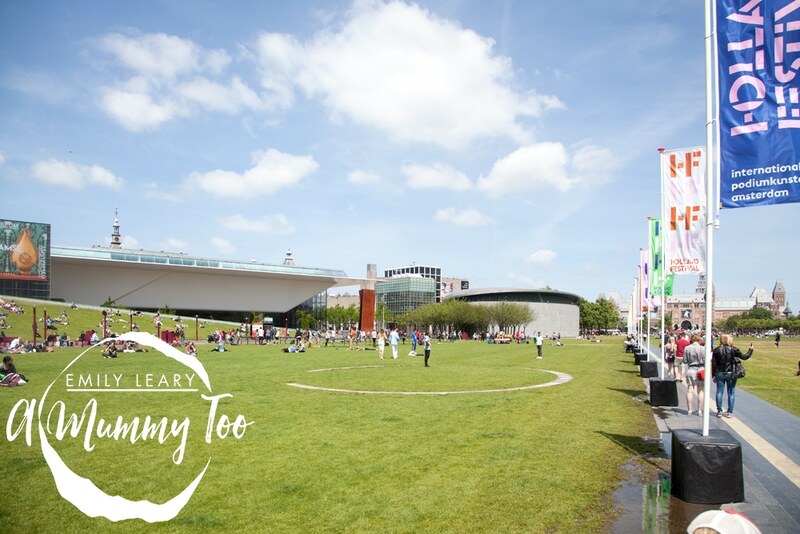 After a smooth, hassle-free flight and a quick transfer through Schiphol airport (which you can read more about in my previous post), we were settled into our hotel and ready to explore the city. 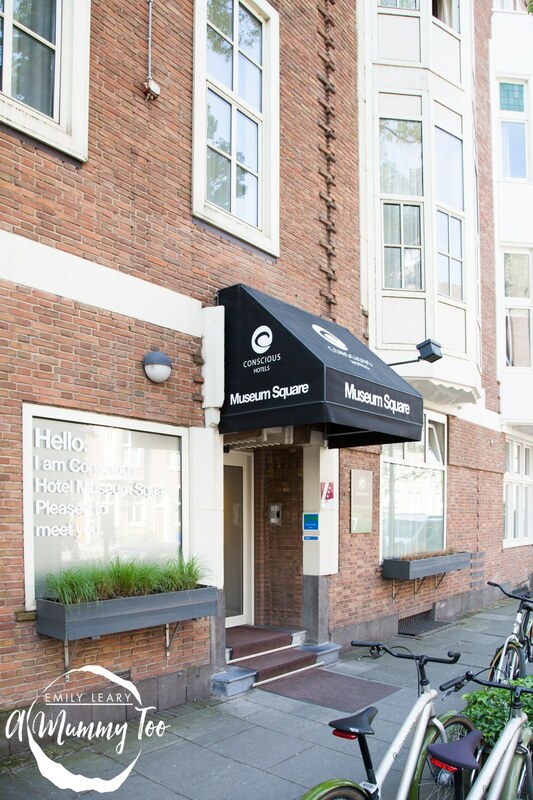 Conscious Hotel Museum Square is in a great location for visitors. 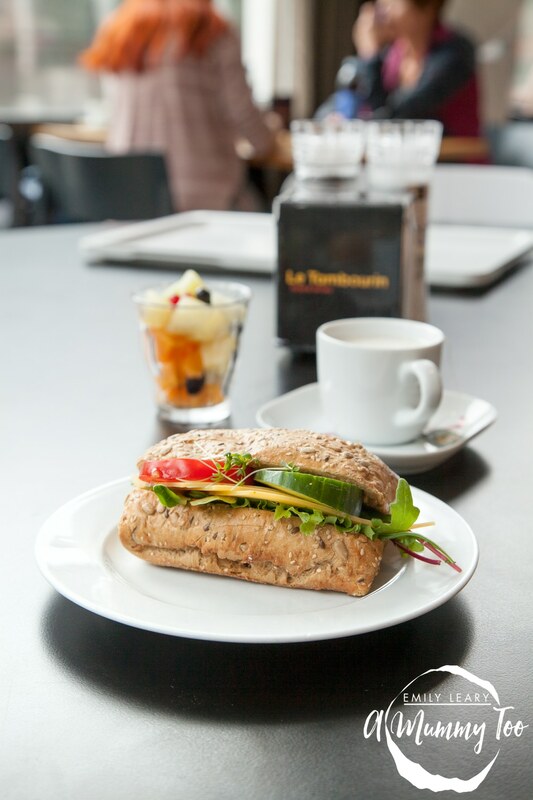 It’s walking distance from the big museums, public transport, shopping, theatres, and plenty of places to eat. 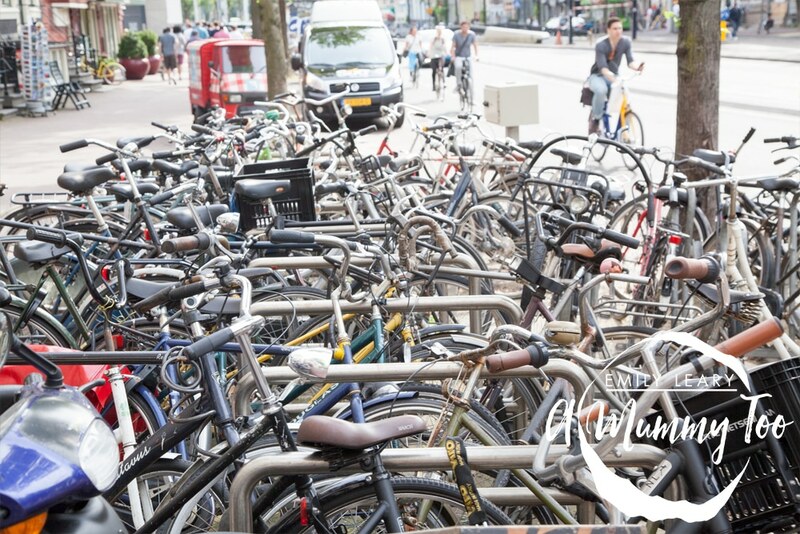 You can even rent a bike, which is a popular way to explore the city. Our family room was fresh and contemporary, with free WiFi, flat screen TV, and lots of space. 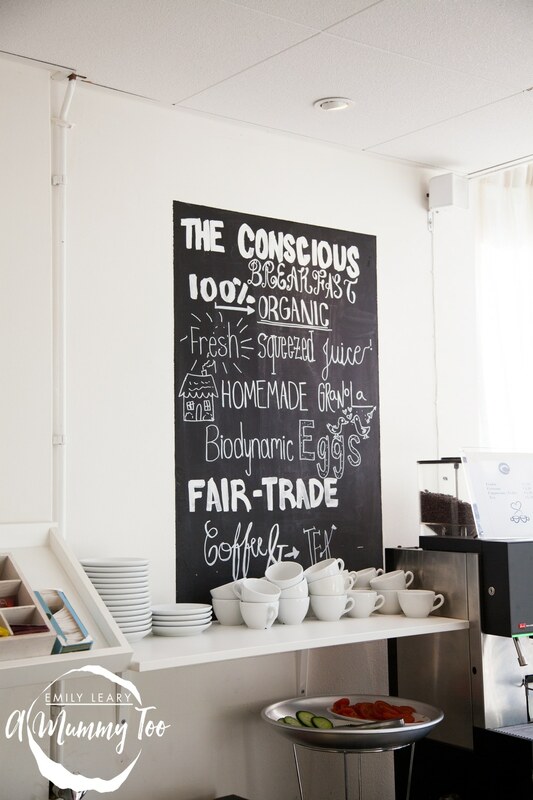 The hotel aims to be as environmentally sound as possible, with furniture made from sustainable wood, chemical-free cleaning methods, and organic food. 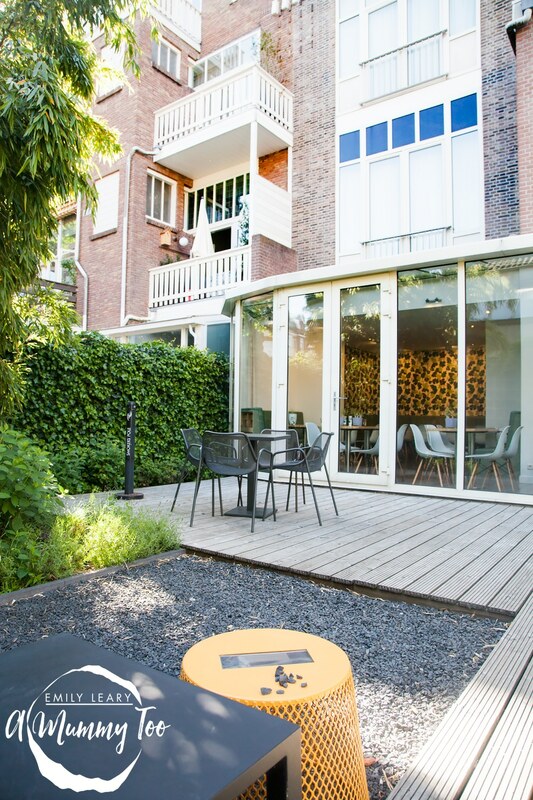 I loved the little quirky touches; this may be a city centre hotel, but it definitely has personality. 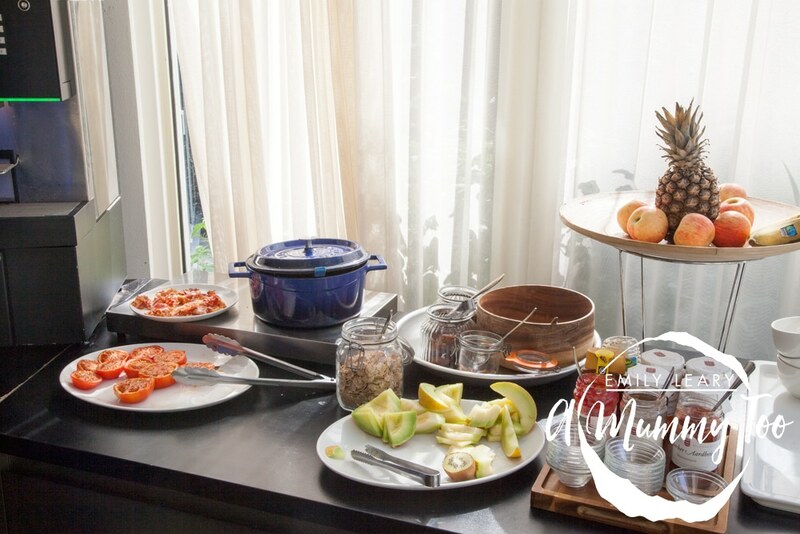 After a good night’s sleep, we woke to a sunny morning and enjoyed a fantastic continental buffet breakfast. 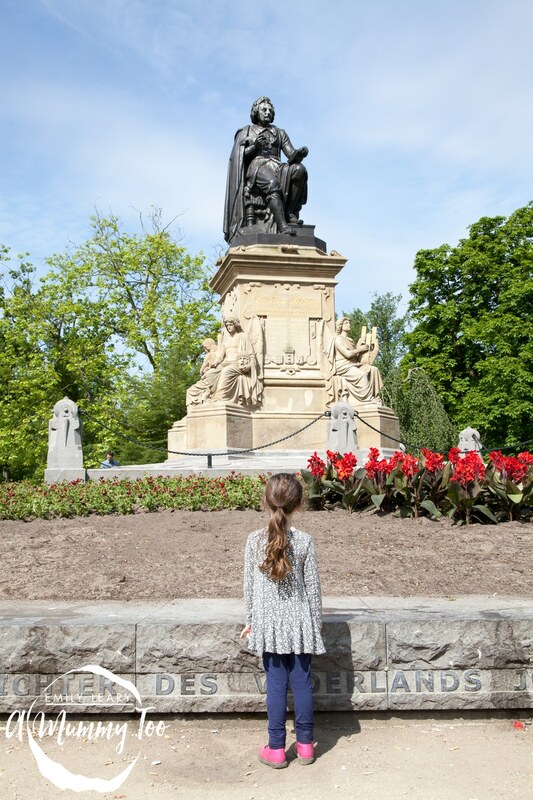 The kids were very excited and couldn’t wait to get going, especially as they knew that we weren’t just here to explore…we were going on a treasure hunt! 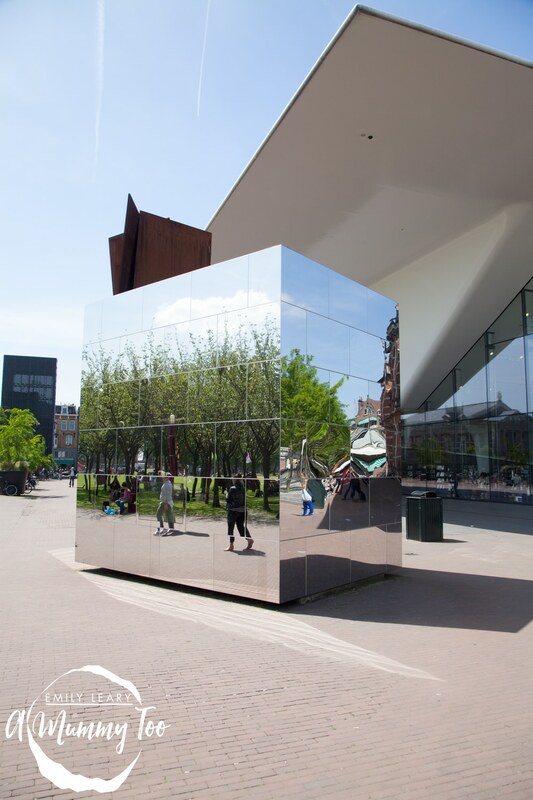 You see, when KLM planned our trip, rather than just giving us an itinerary, they kept our intended destinations unwrapped and instead challenged to find some of the city’s must-see spots via a series of cryptic clues, helped only by our Twitter followers. 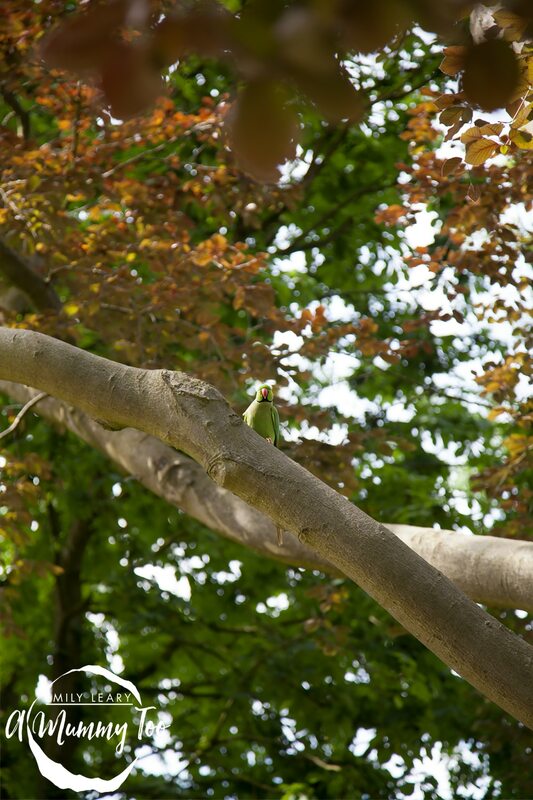 Our first clue was to find a very popular city park featuring parakeets – we were off! 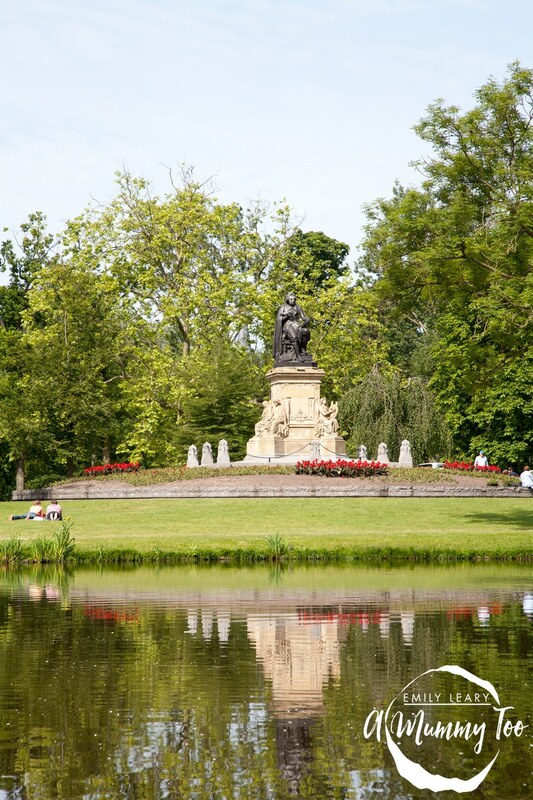 Clue 1a: Amsterdam has a V popular city park….but what’s it called and where is it? 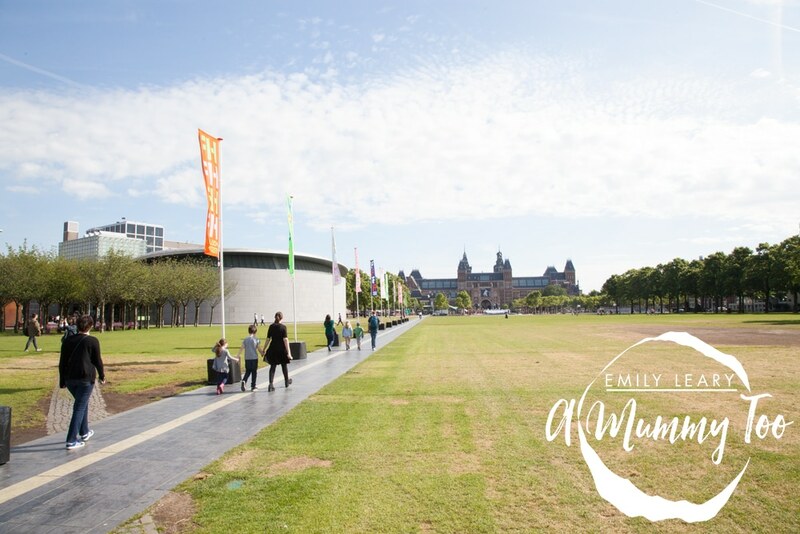 Museumplein is a large public space located in the Museum Quarter of the city. 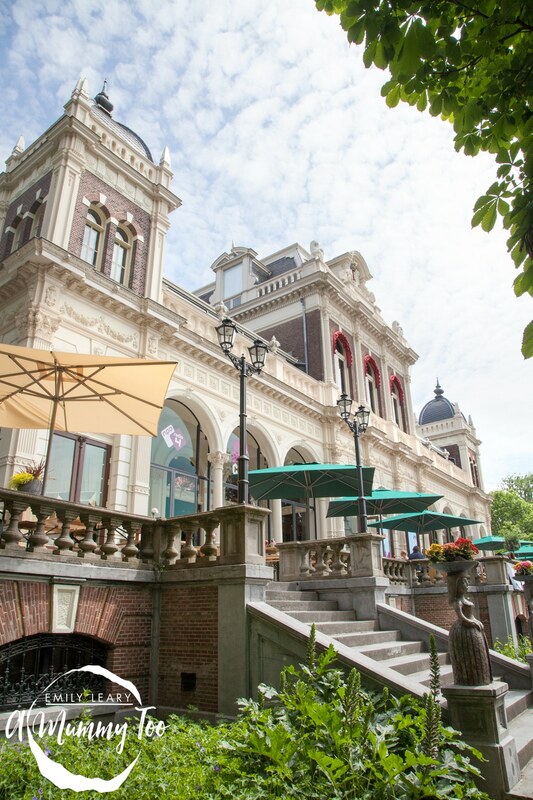 It’s the home of the Van Gogh Museum, Rijksmuseum and Stedelijk Museum, as well as the Concertgebouw concert hall. 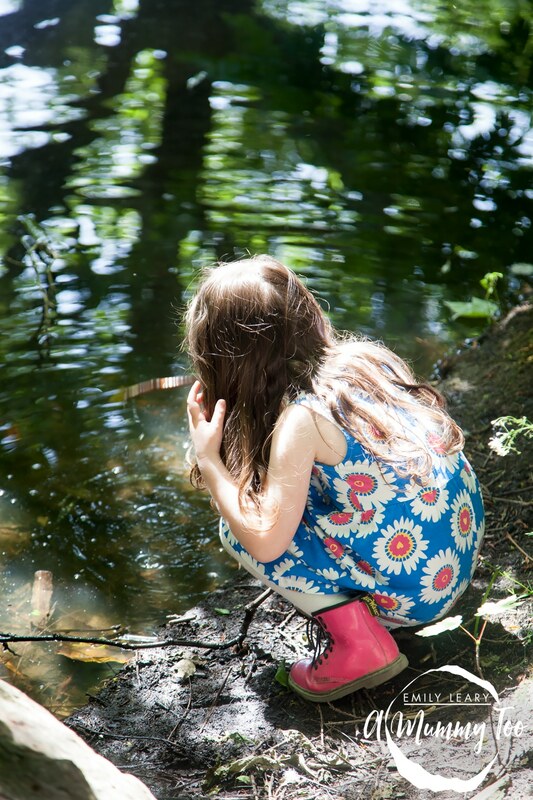 The kids made a bee-line for the water feature, kicking off their shoes and socks to paddle in the water. 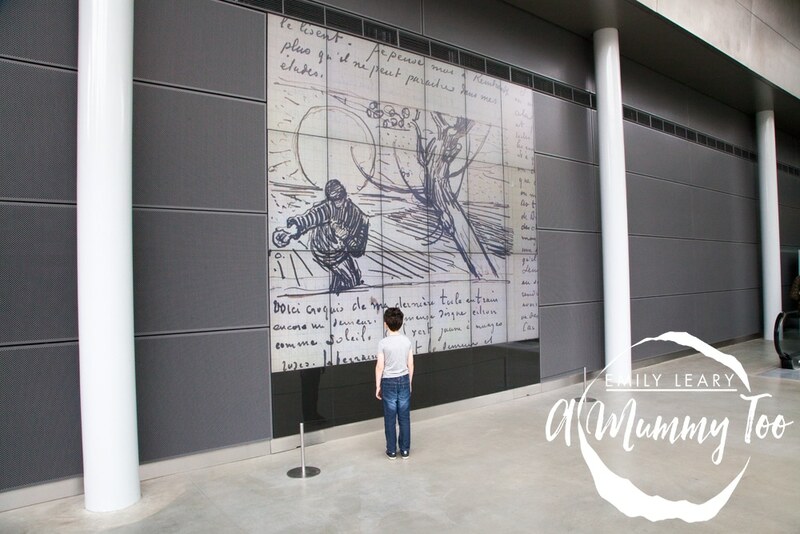 On the day we visited there was an art installation, highlighting how children are affected by domestic violence. The paper cutouts of baby clothes strung up throughout the space really made a sombre statement, representing the young lives lost every day. It was incredibly moving and reminded us just how incredibly fortunate we were to be together, happy and safe. 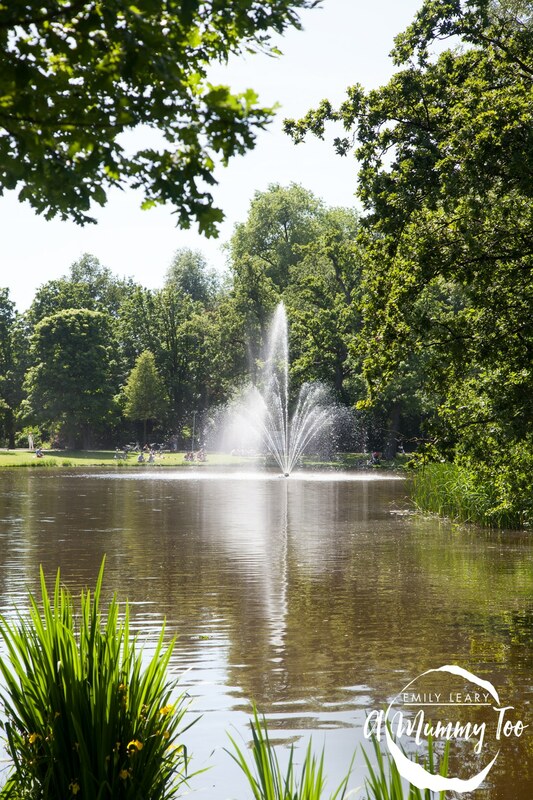 With the pretty, sun-dappled water and green space all around us, we thought perhaps we’d solved our first clue until KLM advised us we needed to keep looking. Thanks to all our twitter helpers and a re-read of the clue (Aha! 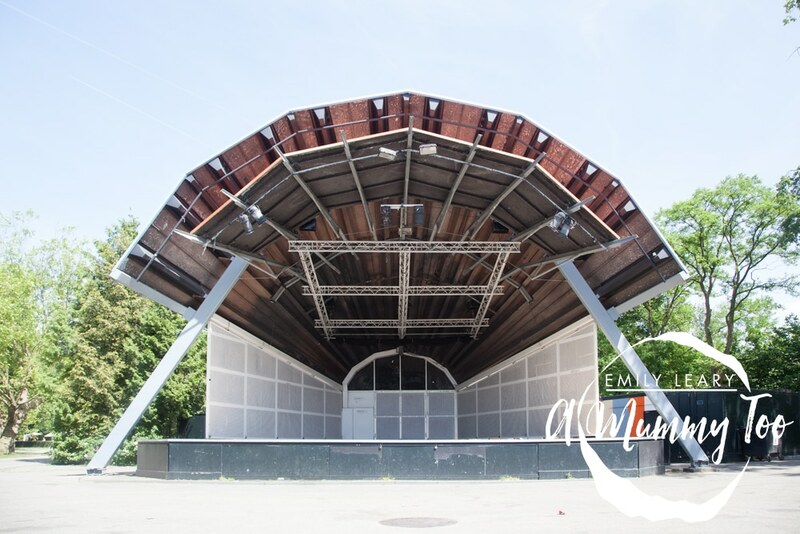 Vondel!) 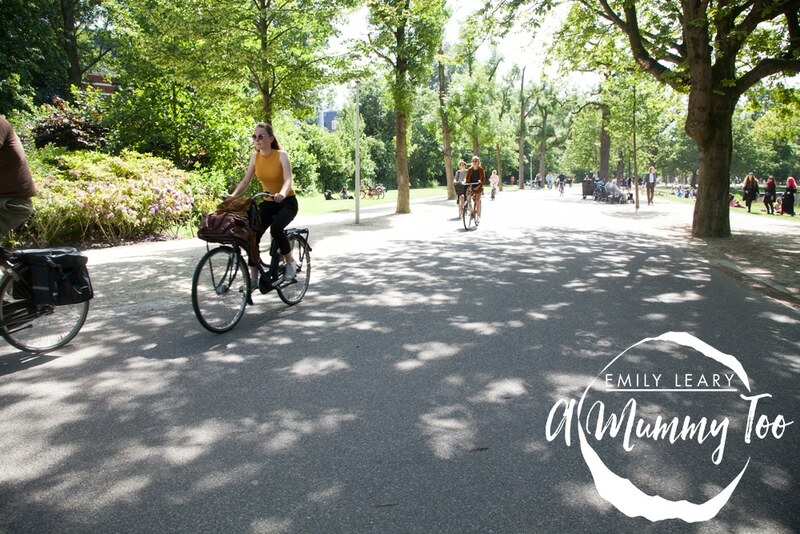 we worked out that we needed to head to Vondelpark. Convincing the kids to clamber out of the water, we were on our way. 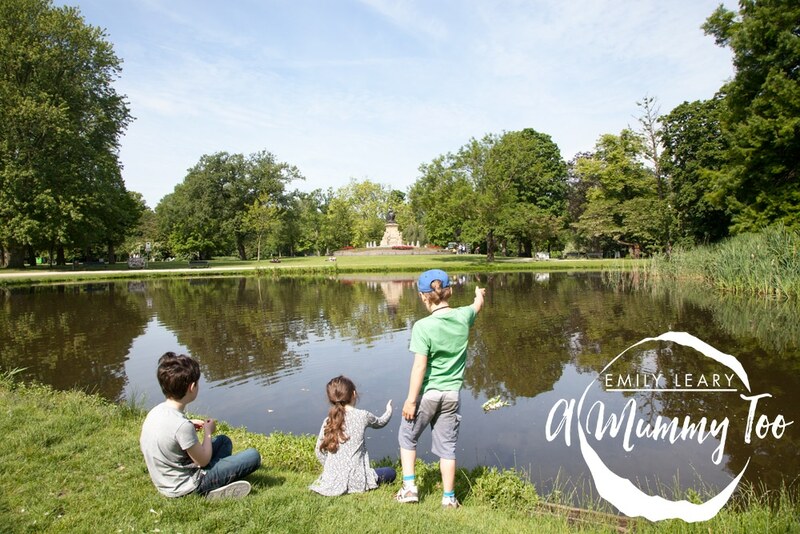 Vondelpark is a great place for families. 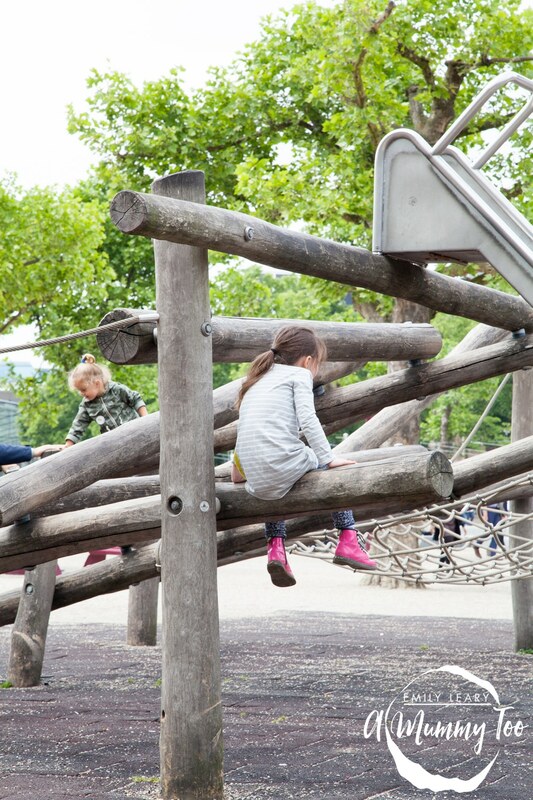 It’s the largest park in the city, with six play areas, lakes and a large playground. 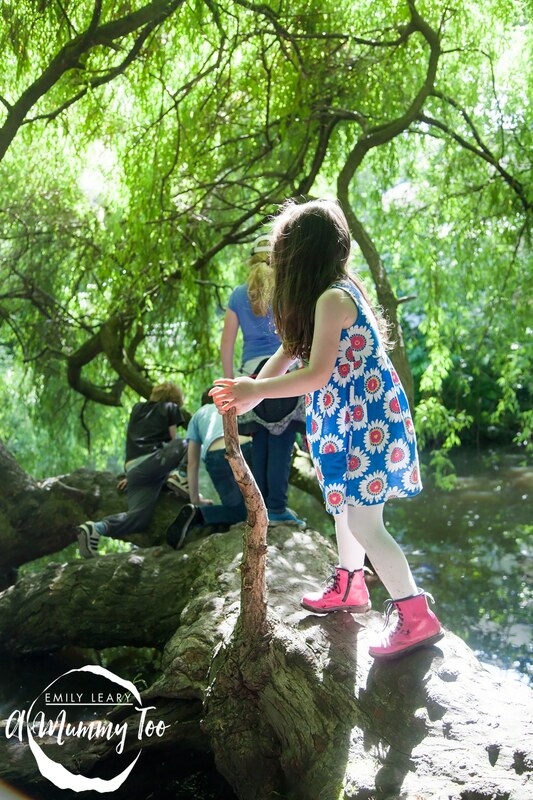 All four children were in their element, endlessly climbing, running and exploring. They’ve been neighbours and friends for years now, but it was really lovely to watch them bond and grow closer during our adventure. 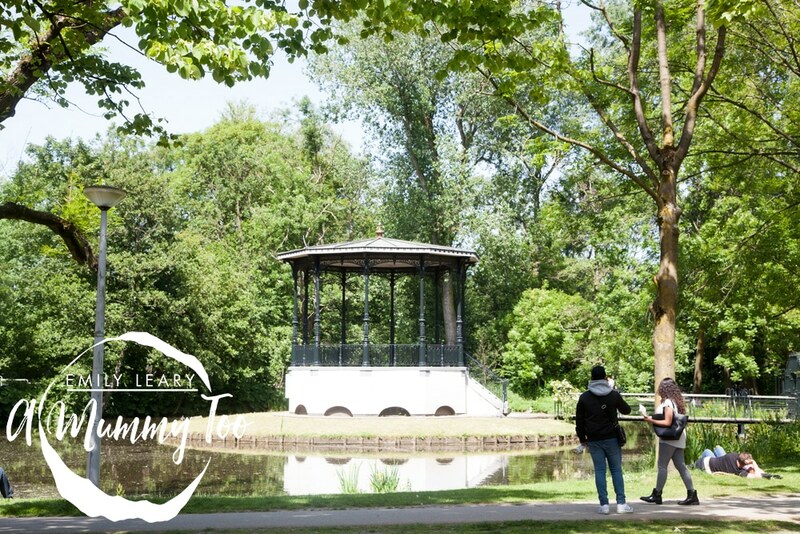 If you’re feeling adventurous during your visit to Vondelpark, you can even rent skates, and in the Summer there are free open-air children’s shows. We walked and laughed in the sunshine, spotting birds and snapping away at the gorgeous scenery until we’d worked up quite an appetite. Spotting a café by the water, we grabbed a table outside and ordered red velvet cake and classic apple cake. 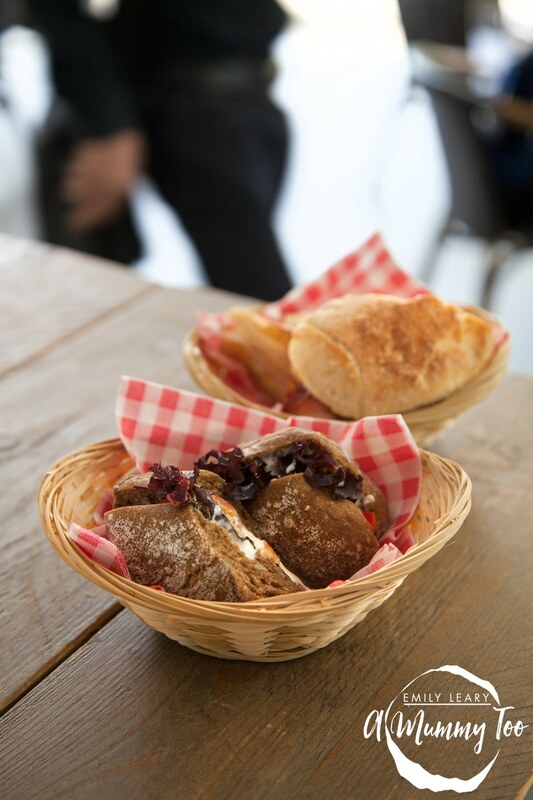 With our hunger sated, we logged back into Twitter to pick up the next clue in our treasure hunt around the city. Clue number two had us searching for something that was over two metres tall and offered the perfect selfie opportunity. We were all rather tickled with our first guess. 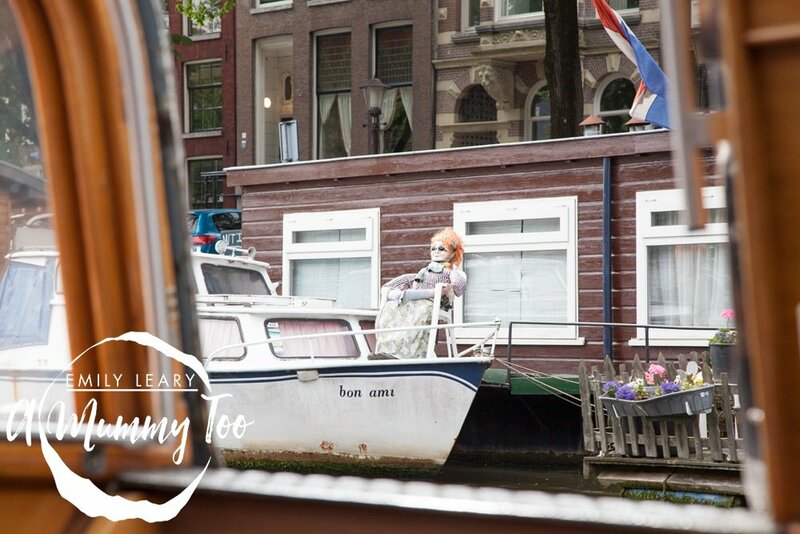 Fits the #FindingAmsterdam clue just perfectly! 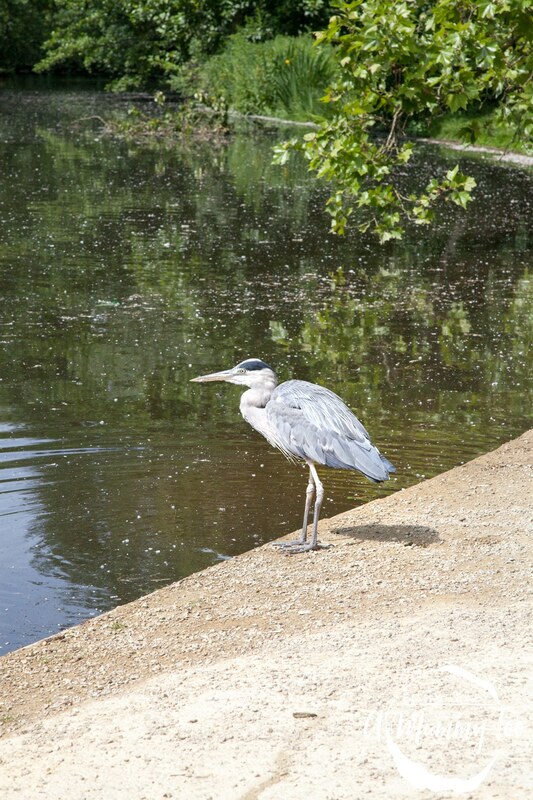 Clue 2b: At more than two metres tall (!) you’ll not able to miss them! 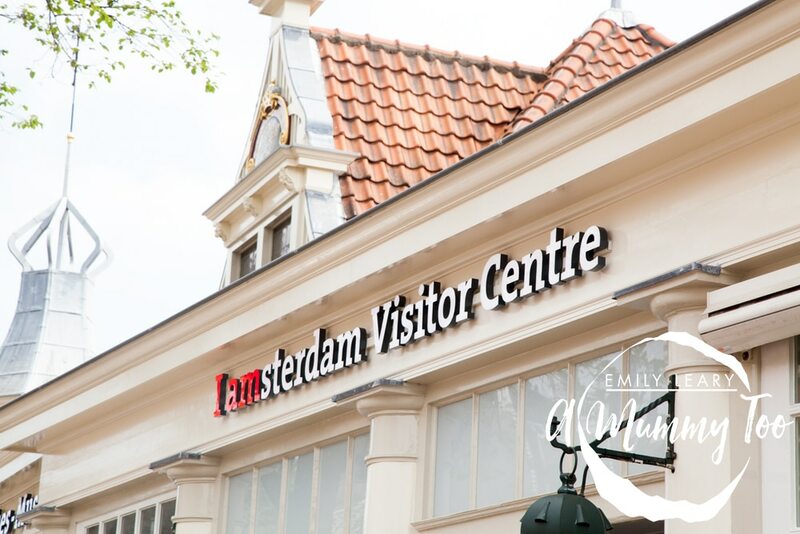 If you’ve visited Amsterdam you’ll definitely know this one. 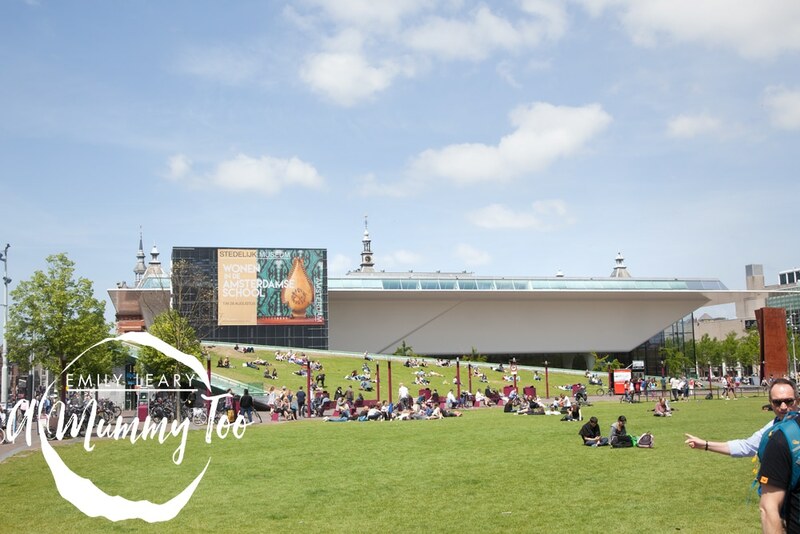 Yup, it was time to head back to Museumplein to find a very special sign. 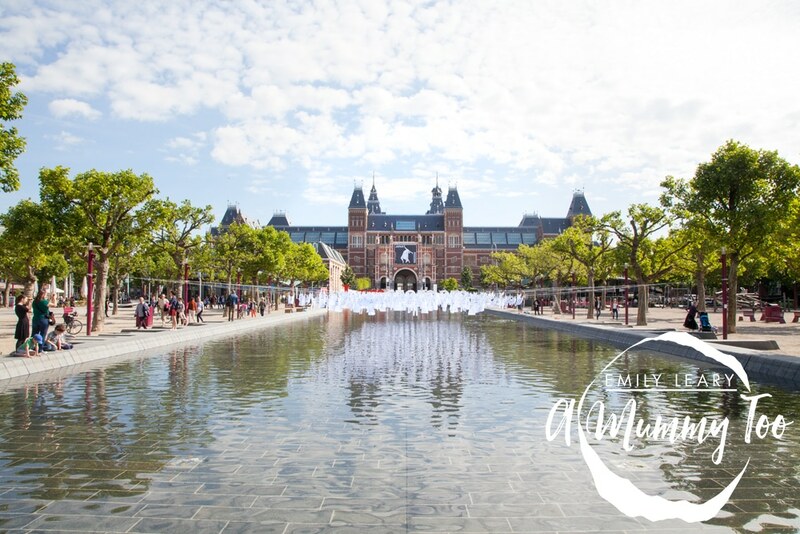 The huge I Amsterdam sign is located behind the Rijksmuseum on Museumplein. 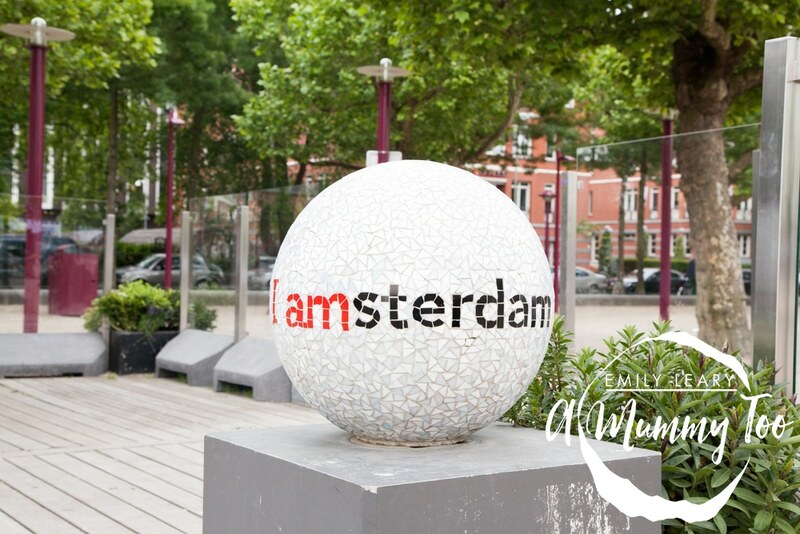 ‘I Amsterdam’ started life as a business marketing campaign for the city, but the residents have really taken it to their hearts and now the sign is very much a city icon. 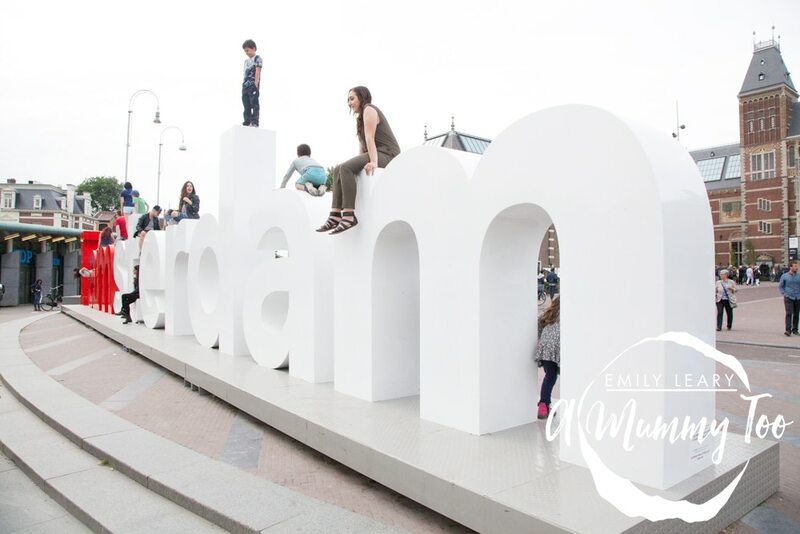 There’s another set of letters at Schiphol airport, and a third set moves around the city, popping up at festivals, shows and major events. 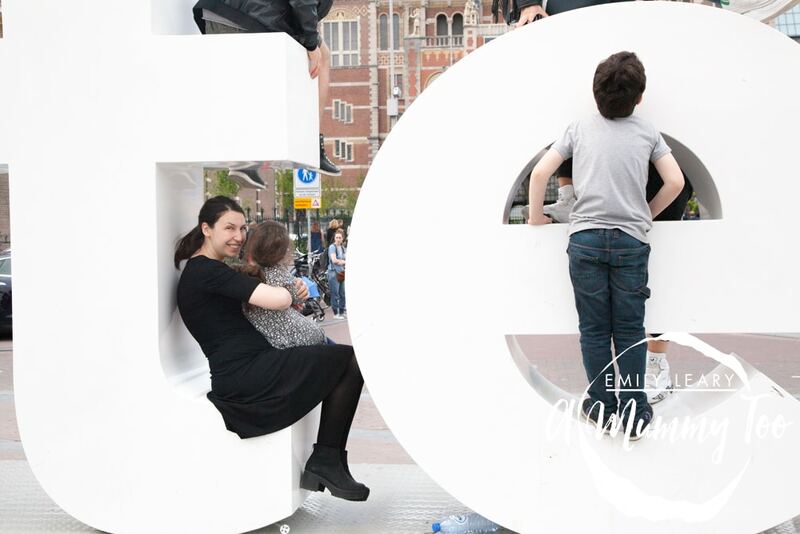 During the day and long into the evening, the letter are crawling with people – literally! 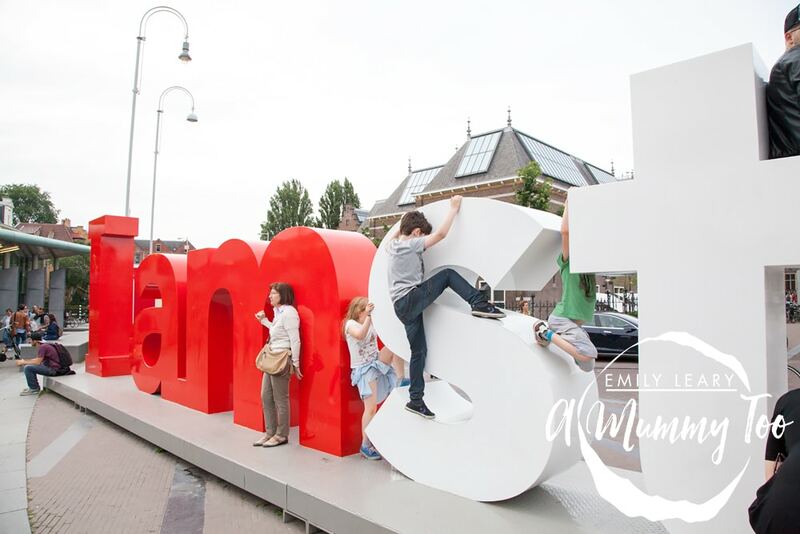 The I Amsterdam letters are perfect for a tourist photo, and they’re a pretty great climbing frame too; the kids loved clambering over it and leaping between and through the letters. It was wonderfully good fun. 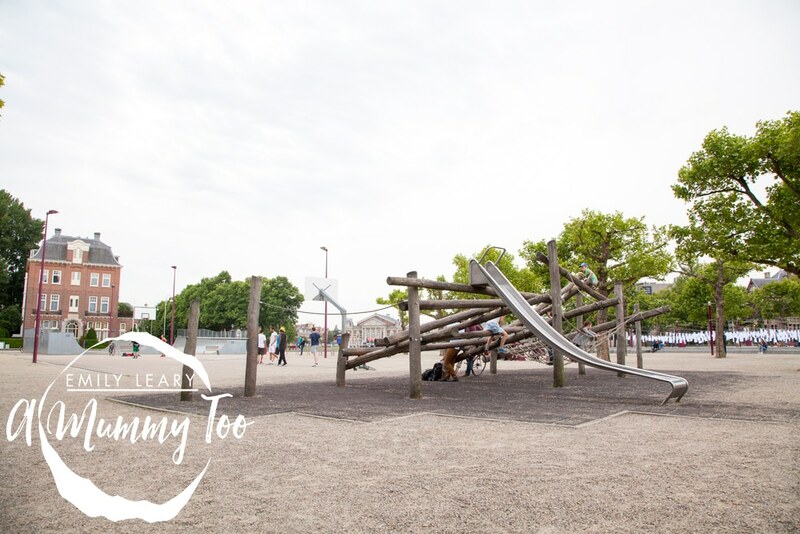 And nearby, a small playground gave the children yet more entertainment as they climbed between the ropes and whizzed down the slide. Clue number three challenged us to find something red, white and black, that was evident all over the city. Clue 3a! You’ll spot a lot of these around: White. Red. And Black. Our first thought was the Amsterdam flag, but the answer was a little broader than this. Once KLM gave us that extra clue the kids started enthusiastically looking for crosses, and suddenly we could see them everywhere. 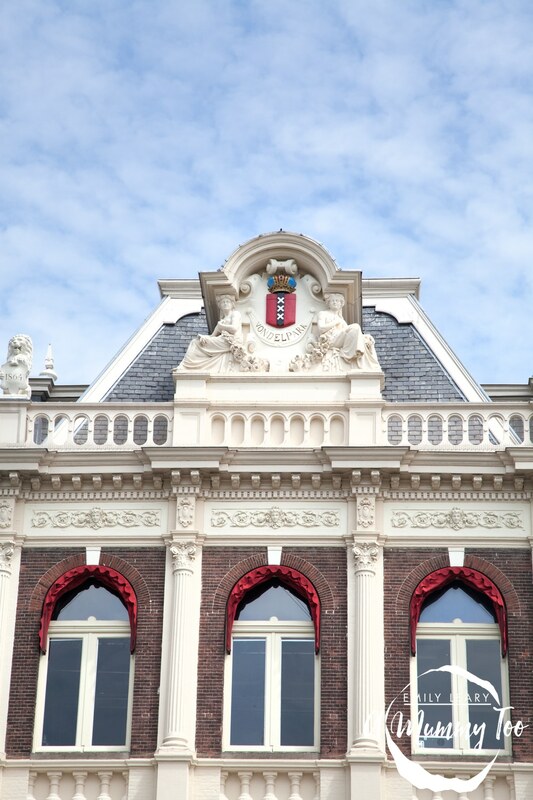 The Amsterdam coat of arms features on buildings, flags, and even traffic bollards. 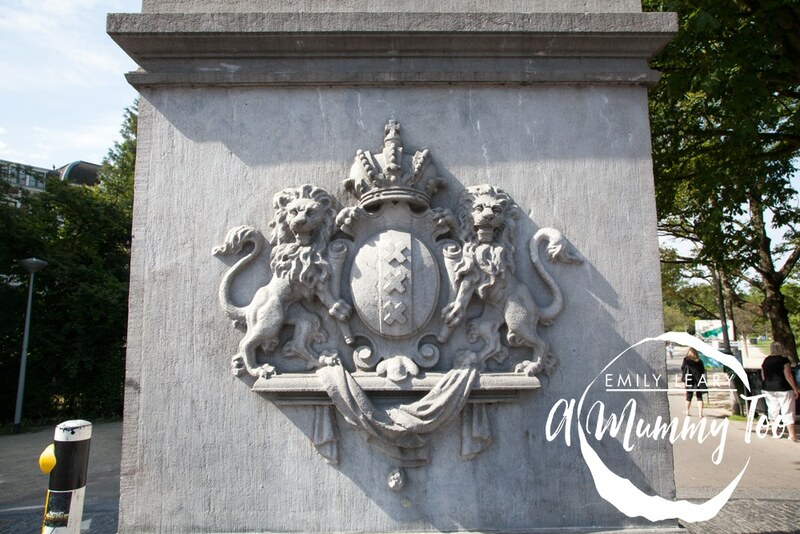 It dates back to the 1500’s, when Amsterdam was a fishing town and all ships flew this flag. 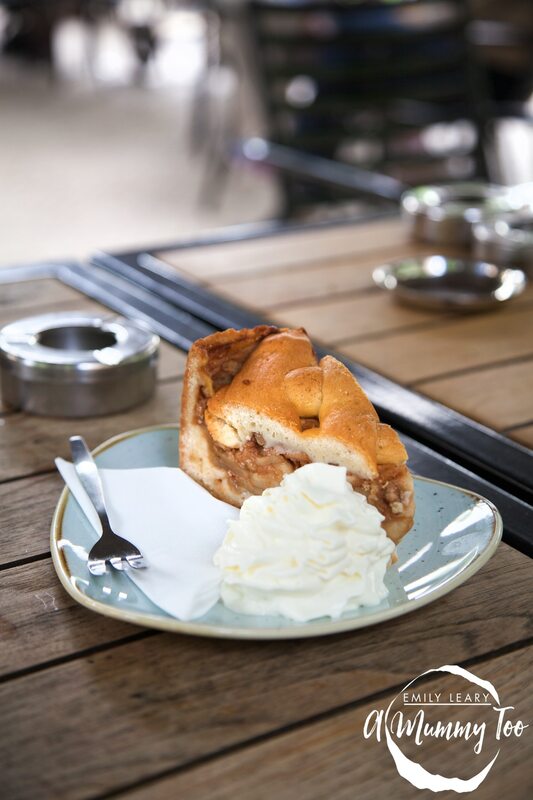 We headed back to Vondelpark for these best shots – it was a good excuse to have lunch at another park café! 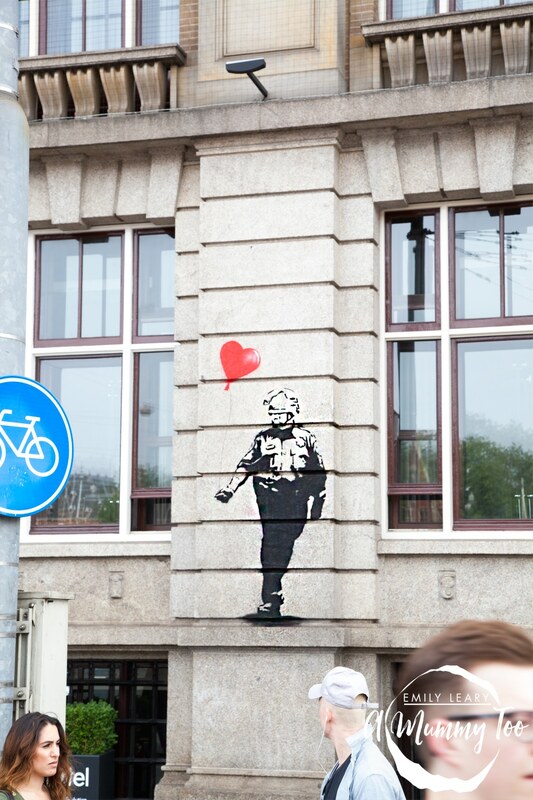 With our hunger sated, we logged back into Twitter to pick up the next clue in our treasure hunt around the city. Our final clue was to find one of the coolest ways to see the city. Amsterdam has a great public transport network which we’d been using all day, so this was our first guess. There are buses and trams everywhere, and they’re very affordable and easy to use. You pay on your first journey, and after that you just swipe your ticket, which is valid for 24 hours; this made travelling as a family so much less complicated. But we hadn’t hit on the right answer just yet. 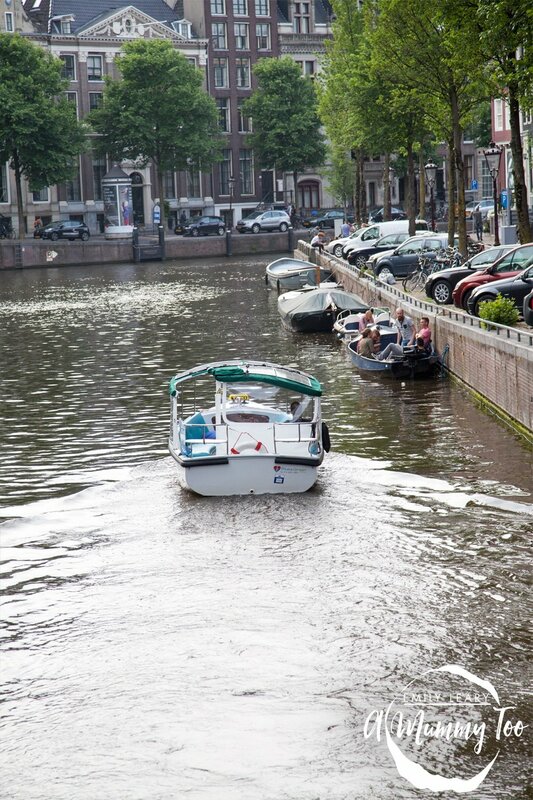 Alas, this wasn’t quite right, but with the help of our followers, we finally got it: a canal cruise! 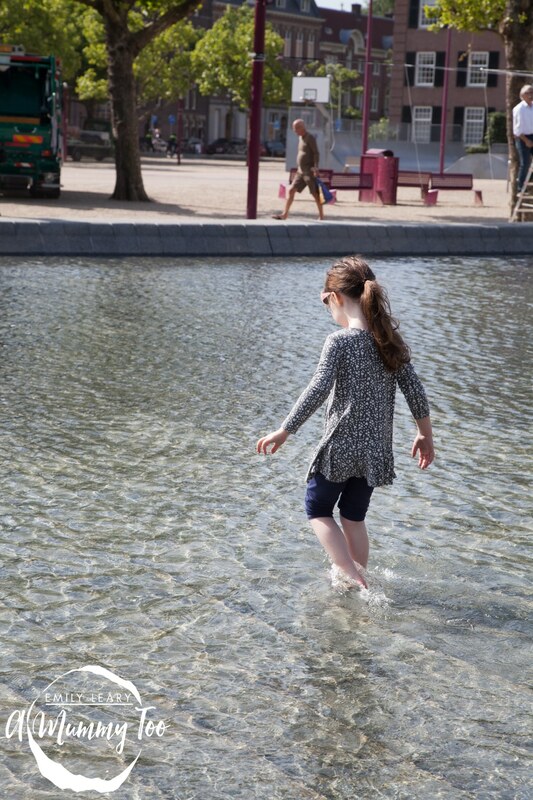 Amsterdam and water are intrinsically linked. 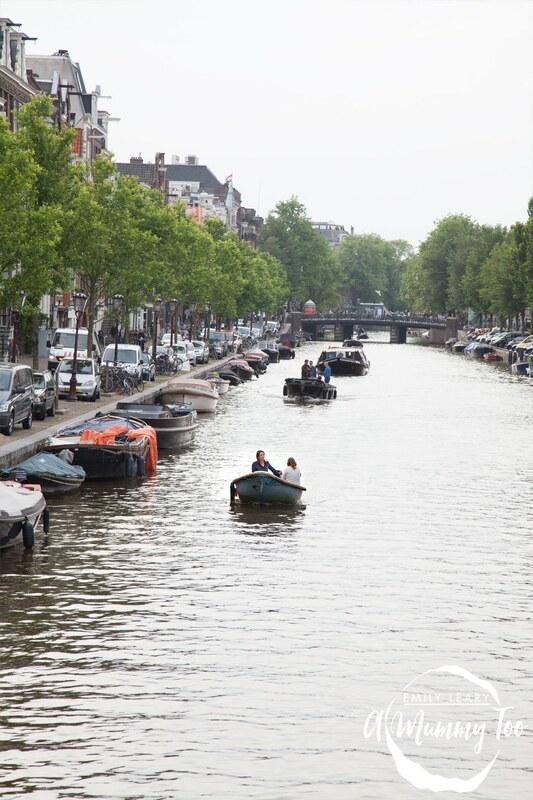 There are 165 canals, originally created for trade, transport and land reclamation and the canal ring is now recognised as a UNESCO world heritage site. It’s a beautiful way to travel. After dashing around on foot all day it was great to sit back and relax on a canal boat. It’s a beautiful way to travel. 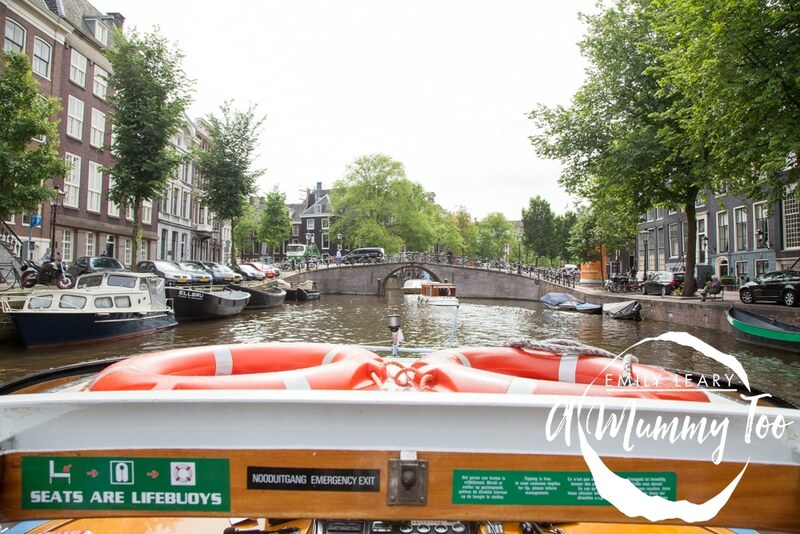 If you want to get to know the city with a little help from the experts, a guided cruise is a great way to see lots of the city’s attractions in one go, and perfect for families with small children who can’t cope with a full day on their feet. 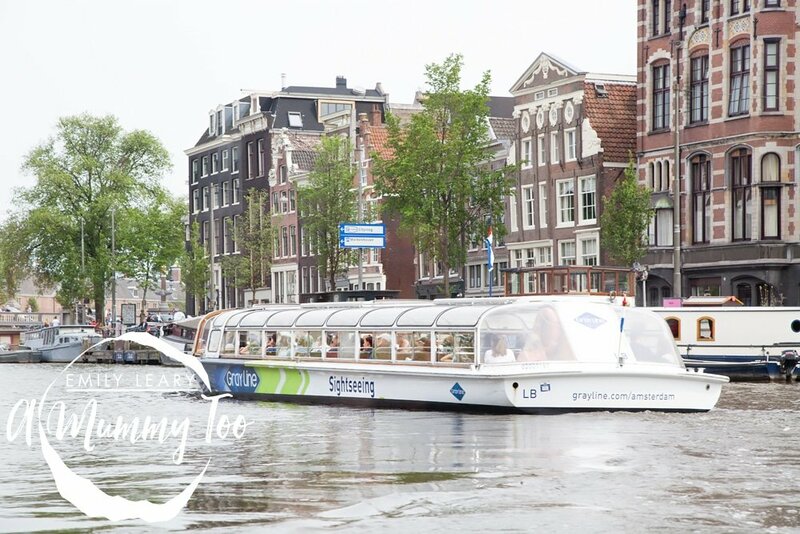 Floating down the canals and listening to the history behind all the landmarks was brilliant, although the kids did get a little fidgety towards the end, and it was so peaceful, I nearly nodded off! 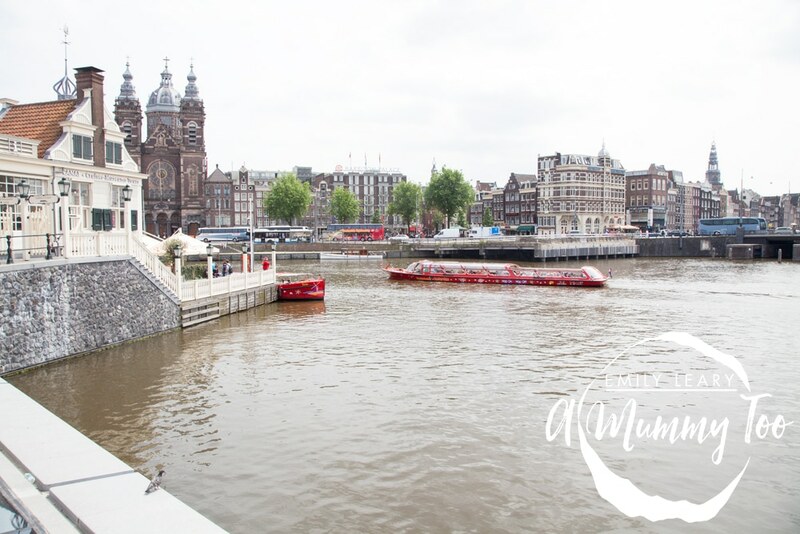 After taking in the sights from the water, we celebrated successfully completing our treasure hunt with a drink in a Canal Bar, where KLM had arranged some little prizes for the kids. 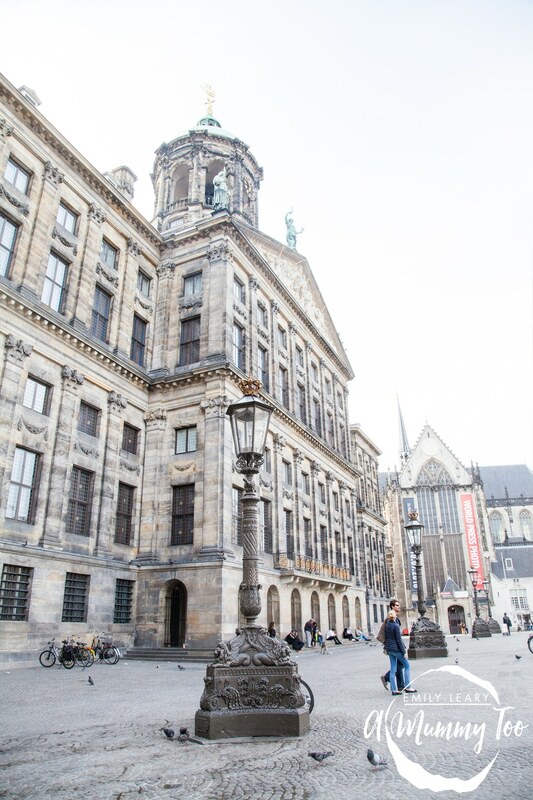 We opted to skip the trams on our way back, and instead weave through the streets to get to know a little more of Amsterdam. 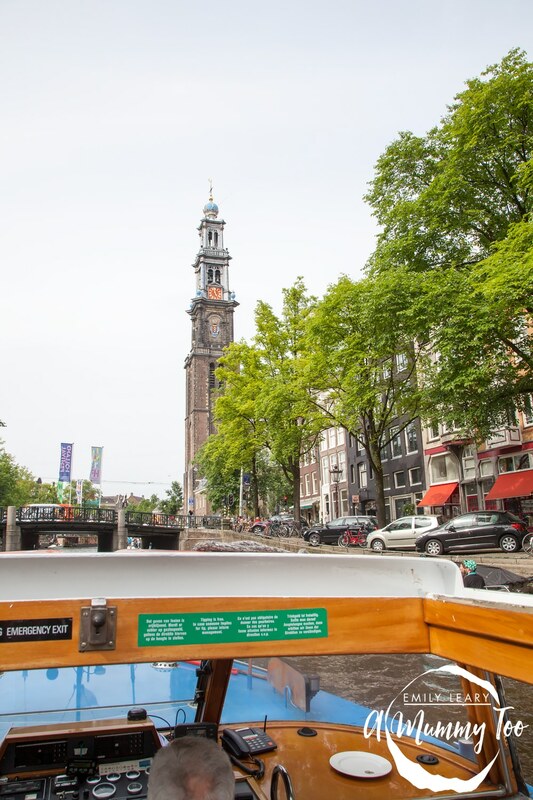 There’s plenty to see on an amble around Amsterdam. 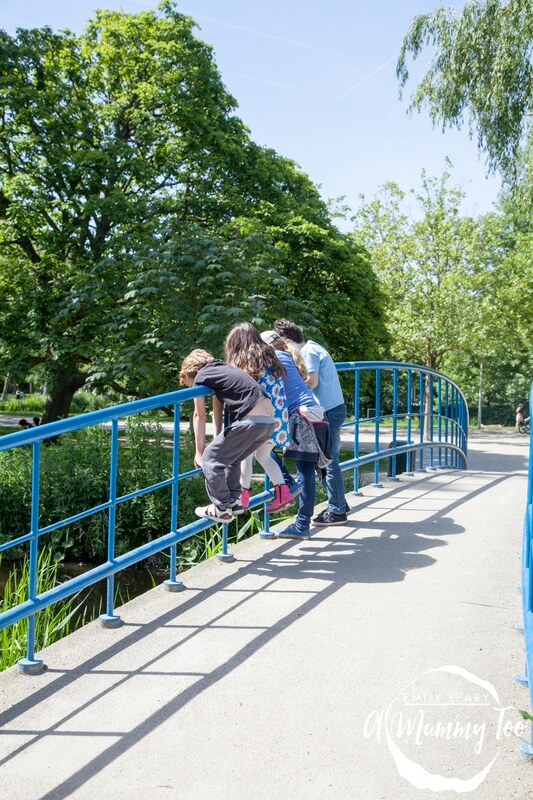 The only challenge from a family perspective is teaching the children to be alert and aware or the trams and cyclists, but they soon get used to it. 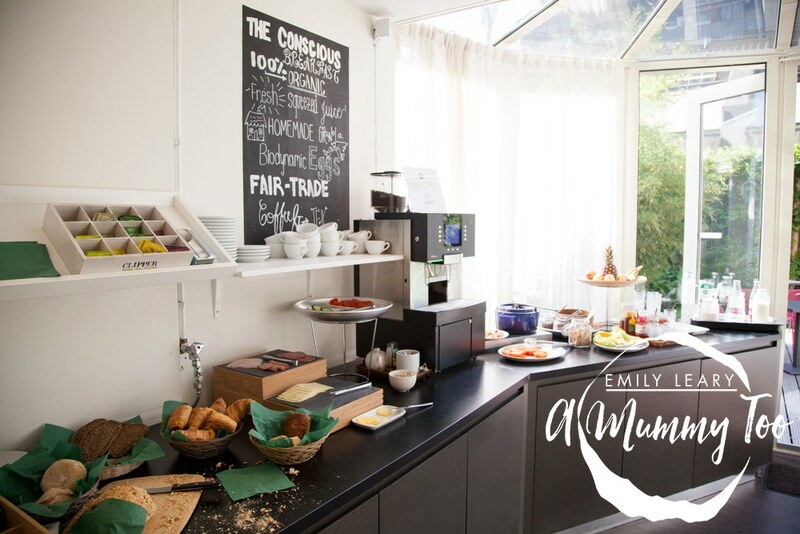 Our second day in Amsterdam started with another great continental breakfast in our hotel, then we headed out to visit the Van Gogh Museum. 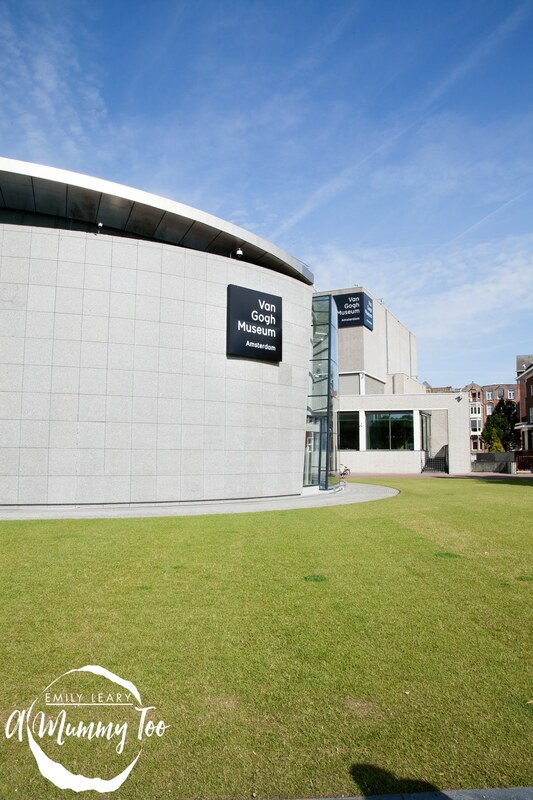 Located in Museumplein, the Van Gogh Museum showcases the works of Vincent Van Gogh and his contemporaries. The isn’t the range of interactive exhibits you might find in some more family-orientated museum, but interestingly this seemed to mean the kids really pay attention to the art. We learned that photography is not allowed in much of this really popular tourist attraction. 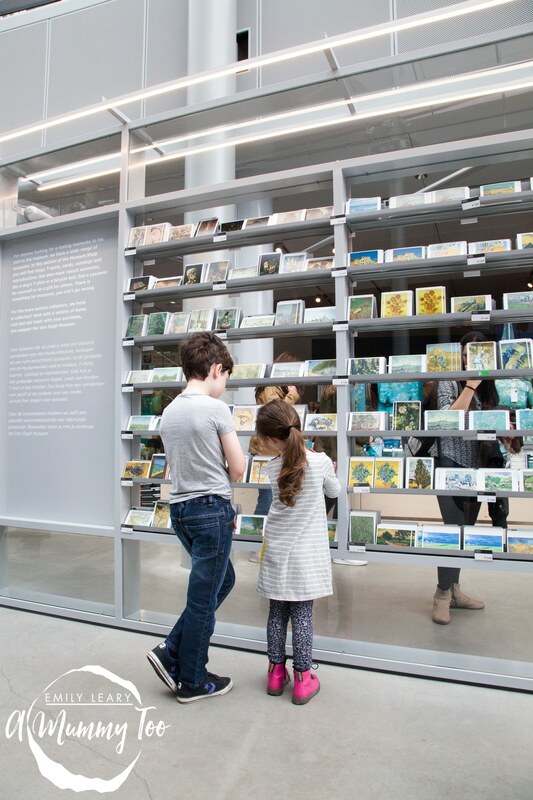 Apparently, the rule was introduced not only to protect exhibits, but also so that visitors don’t clog up the natural movement of the museum. It certainly seems to result in a smooth and steady flow of visitors, which in turn makes for a great viewing experience. 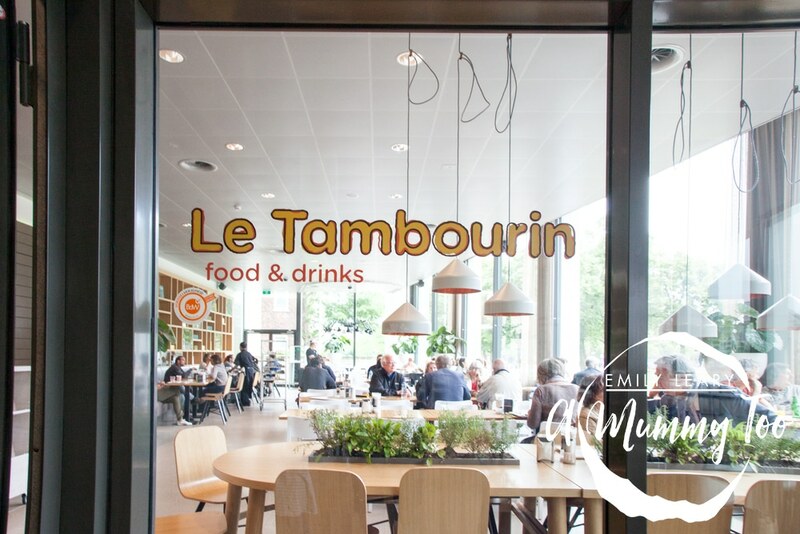 With time ticking on until we had to head to the airport, we did a circuit of every floor and then stopped for lunch in the museum café, Le Tambourin. 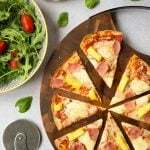 This was very family-friendly, with lots of choice and plenty of healthy options. 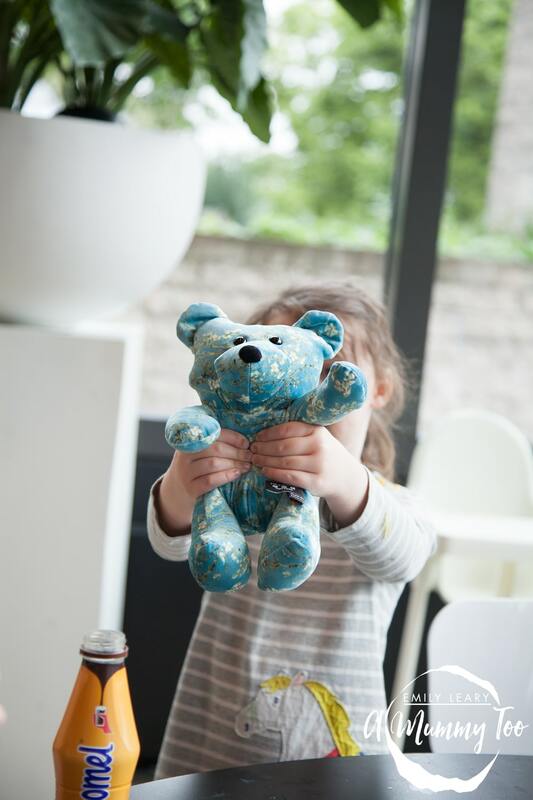 We also visited the cool museum shop where Jay picked up a most fetching bear in a Van Gogh inspired print, JD chose a magnet, and we managed to source gifts for our family back home. All too soon it was time to head back to Schiphol airport for our flight home. 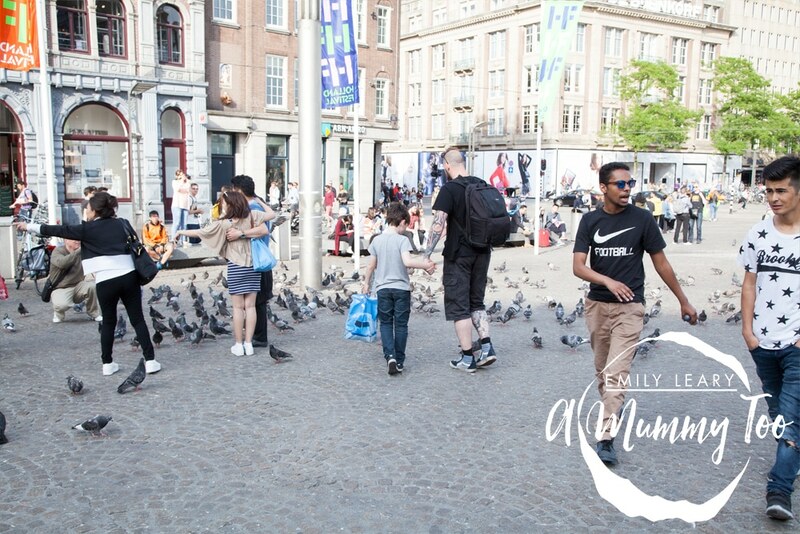 We had such a great time exploring Amsterdam with KLM. 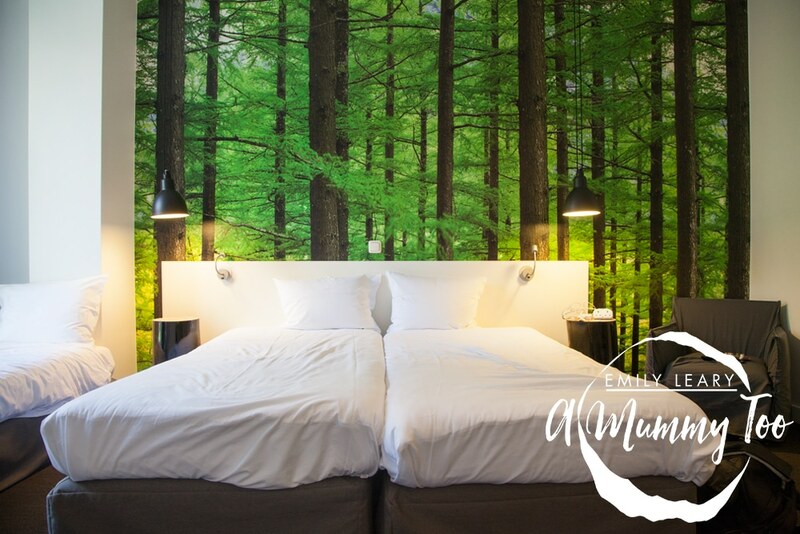 For a family break it’s an ideal destination. 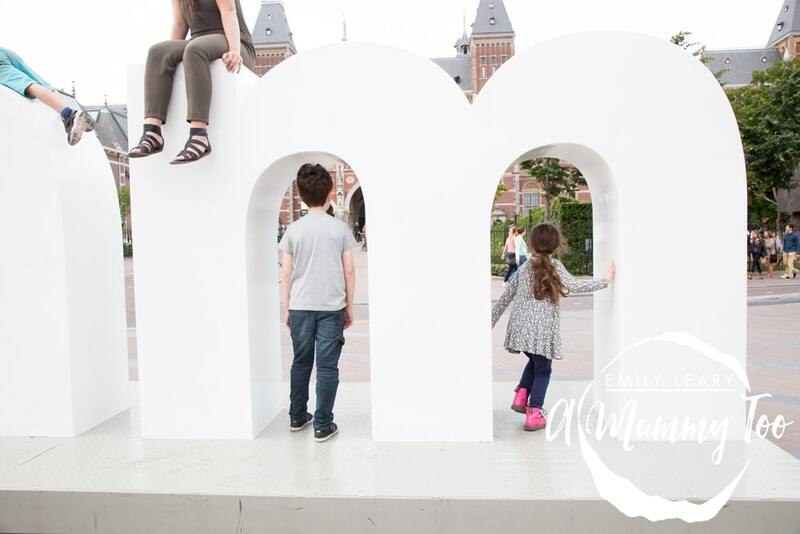 Flying with KLM was efficient and hassle-free, the public transport system made the city so easy to explore with kids, and there’s an abundance of family-friendly things to see and do. 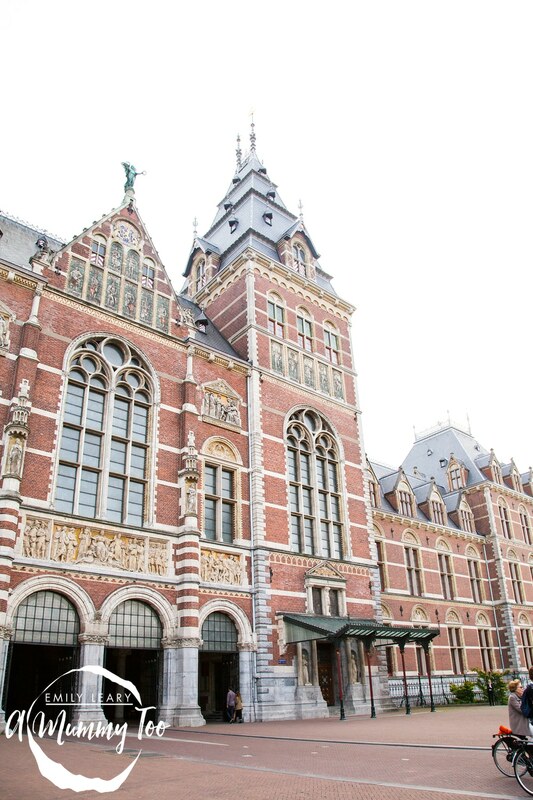 Will you be discovering Amsterdam soon? 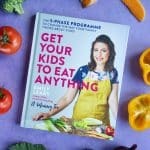 Ah – wonderful post Emily! 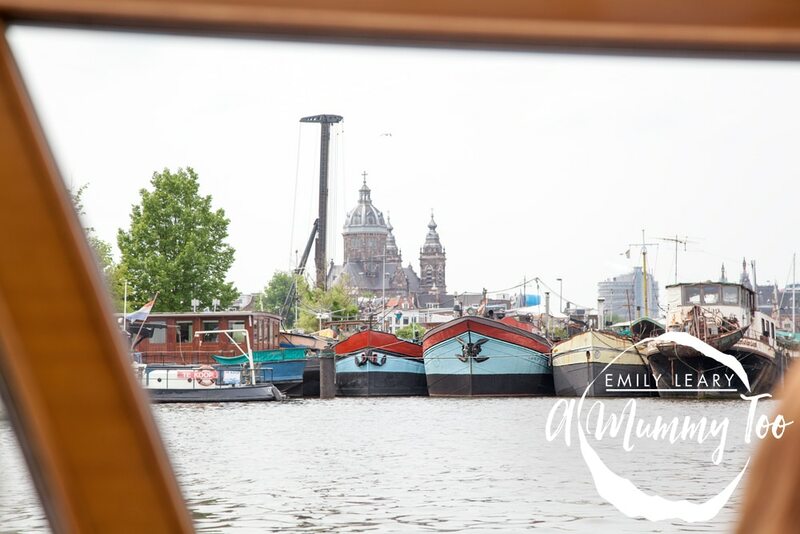 I was actually in Amsterdam recently too although I was on a hen weekend so we explored the *other* culture of the city!! It was lovely seeing you at #BML16 and well done on your #BiBs2016 award for food! Well deserved! 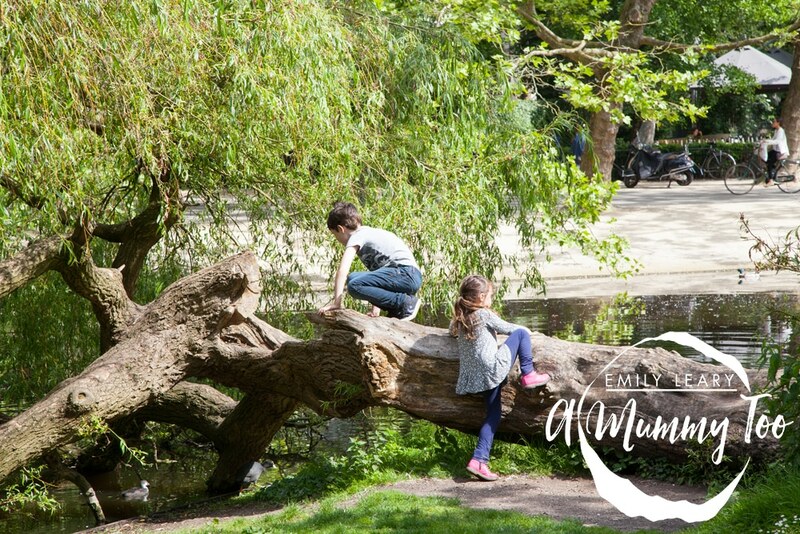 Perfect timing for your post – we have a trip booked for later in the year so i’m on the lookout for inspiration for what’s best to do as a family! Fabulous travelling with you all and reliving the fab memories via your photos. 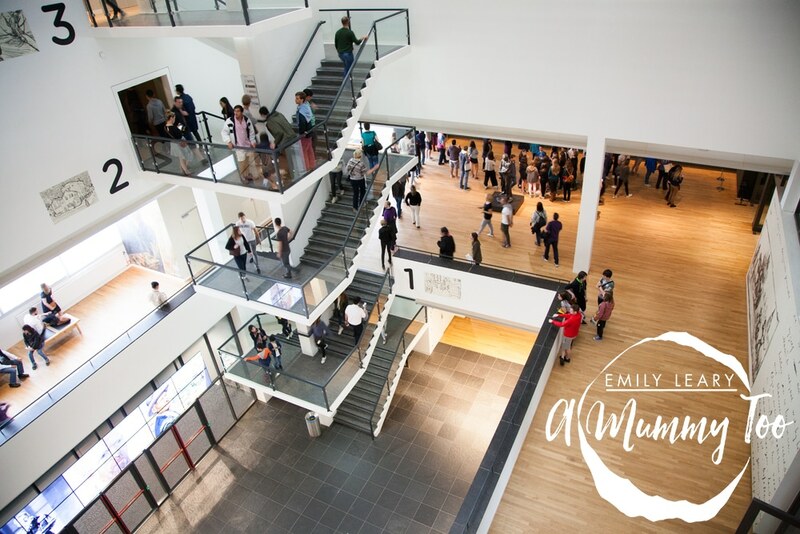 Especially sneaking a look inside the Van Gogh Museum as the one bit we didn’t do all together! 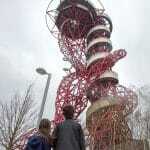 I know I went in about 20 years ago, it looks really swish!